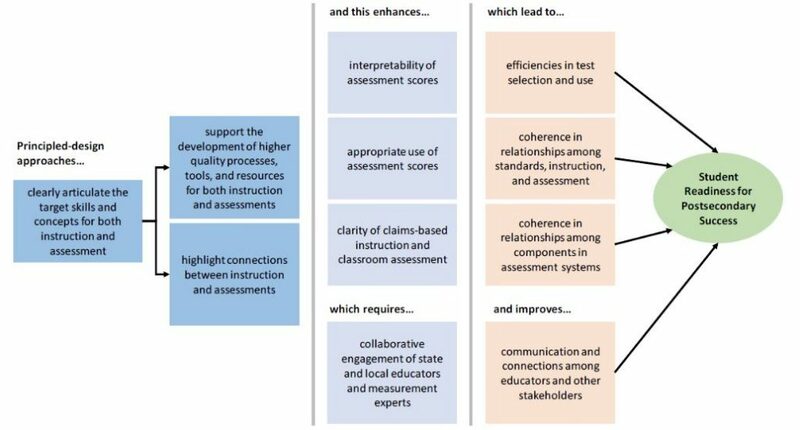 The primary goals of SCILLSS are to strengthen the knowledge base among stakeholders for using principled-design approaches to create and evaluate quality science assessments that generate meaningful and useful scores, and to establish a means for states to strengthen the meaning of statewide assessment results and to connect those results with local assessments in a complementary system. SCILLSS is based on a Theory of Action that links principled-design approaches with clarity and coherence within and across standards-based assessment and classroom contexts. A key aspect of this approach is designing systems with the end goals and uses in mind. If we expect assessment information to have value and usefulness for educators, then at the design phase, we need to understand how they understand and apply information to be able to connect it to the classroom.